Summer Brain Gain helps prevent youth from falling behind and losing academic skills while school is out. 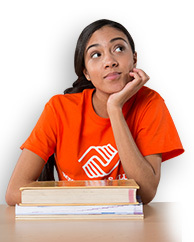 BGCA is committed to ensuring that America's youth, especially those who need us most, graduate from high school on time with a plan for the future. That's why we launched Summer Brain Gain - a summer learning loss prevention program developed specifically for Boys & Girls Clubs to integrate into their traditional summer schedule. Each summer in America, an estimated 43 million children in the U.S. miss out on expanded learning opportunities that could prevent them from falling behind. During summer, most youth lose about two months' worth of math skills. Low-income youth also lose more than two months' worth of reading skills, while their middle-class peers make slight gains. In addition, with support from Staples, BGCA introduced Summer Brain Gain: Read!, a literacy program that complements the larger Summer Brain Gain curriculum. To improve the reading skills of America's youth, Summer Brain Gain: Read! is a summer reading program with a new book presented each week per age group, along with supporting activities that bring the book to life. 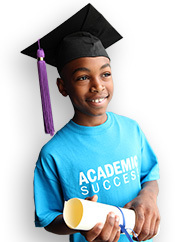 Interested in Enrolling Your Child in Summer Brain Gain? 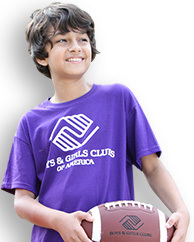 If you are interested in your youth enrolling in Summer Brain Gain, find a club near you!